The n ew year is bringing with it new SEO challenges. What is coming and what is a business to do about it? Embrace the changes. Adjust. Realize that the work required will ultimately result in better content and a better World Wide Web. This all translates, of course, into better income, but it is going to take some time and a lot of hard work. Perhaps the most difficult of the SEO challenges coming is the downfall of the keyword era. Once upon a time it is was easy to find traffic, revenue, and conversion data based on keyword searches and simply use those keywords in usable content. Then, of course, the content would pop up in those keyword searches and cha ching, the money would flow, or something like that. Gone are those glorious days however. Hummingbird made sure of that. If keywords aren’t where it is at now, then where is it? In 2014, social activity is weighted more heavily when it comes to SEO. Testimonials, reviews by clients, and comments all come into play and they definitely make a difference. Creating content that is locally relevant is more of a change for some than others. See, Google knows where you are, and it will return search results based on than information. Even for those online businesses and blogs not limited by location, the need for locally centered content here now. The searcher no longer has to specify a location, it is just known. 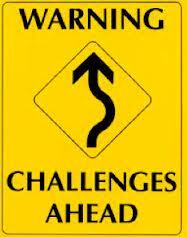 For some, these new challenges will not bring much change. There will be an adjustment period when it comes to getting used to new ways website data is reported, but content is still king, and as long as that has always been the philosophy nothing really has to change. However, for those that relied heavily on keywords, there will have to be an overhaul. Not only will these changes need to be applied going forward, but older content will need to be revisited as well. The key to rankings in 2014 is content. To show up locally, produce content relevant to the locations in which you want to be considered. This may even mean producing relevant content for all 50 states or several cities within a state. Get those social activity points by answering relevant questions, whatever that may be, and get people excited to talk about it. Do what you do well and encourage clients to comment on it. Content reigns supreme, not keywords, when it comes to SEO in 2014. In reality, isn’t this the way it was always meant to be?